There is a highly-rated merchant on eBay selling the Canon EOS-M3 mirrorless camera bundle for $429 including free shipping. The bundle includes the camera plus a 32GB memory card and reader, wireless shutter release, carrying bag, etc. As you know, Canon had a slow start with their mirrorless cameras and the EOS-M3 is their latest version and was not even available in North America until recently. Although the EOS-M3 can use all EF lens with the addition of an adapter, there will be more EF-M lens coming in 2016 to beef up the current lineup. 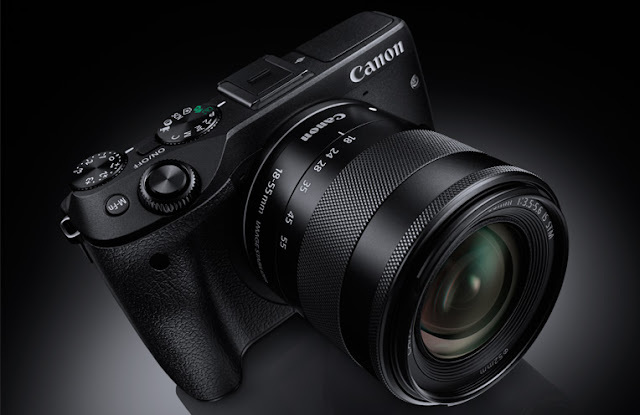 Canon also announced a smaller mirrorless camera called the EOS-M10 last month.